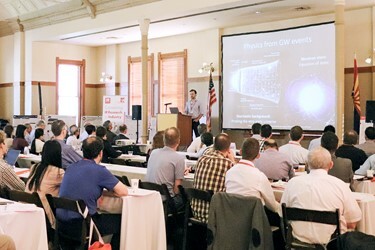 Bedford, NH: LASER COMPONENTS USA, a specialized provider of laser and optoelectronic components in the US and Canada, is pleased to announce the 6th International WORKshop on Infrared Technologies, a continuation of the alternating event in Germany and the US. Thanks to the support of MIRTHE+ Photonics Sensing Center, a leading organization focused on connecting research and industry, the event will take place at Princeton University, NJ, October 28 – 30, 2019. This unique and successful IR WORKshop format is designed to create a community conversation about industry breakthroughs and challenges, to present the latest research, and to generate professional connections and common interests. Active participation is encouraged in an interactive environment organized to have half of the attendees present a paper or poster while the other attendees are invited to participate during breakout session discussions. New developments covered will include infrared detectors and new material development, sources and lasers, filters, optics, MEMS, spectroscopy, and sensing systems.